Don't be fooled by the incredible vintage style of this "OD Green" Military Police motorbike. The very realistic look and feel will leave you wondering how this bike survived the war in this shape. 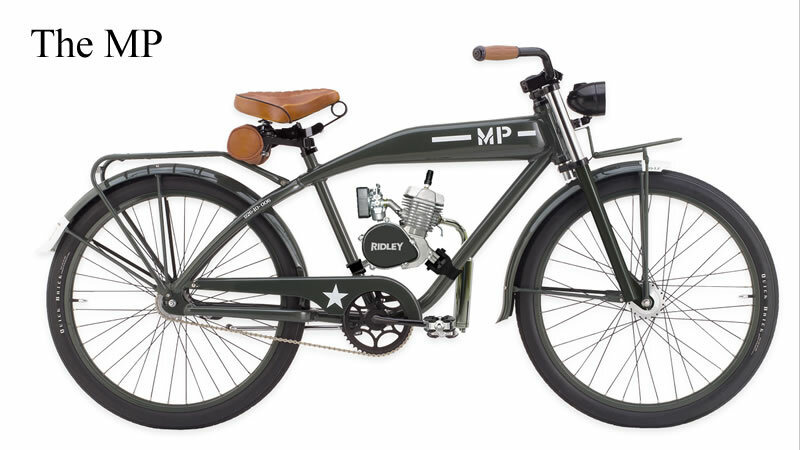 The MP model is currently available through Vintage Motorbike Retailers.